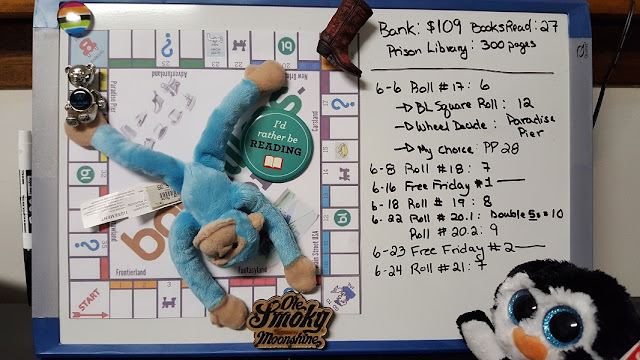 Ani's Book Abyss: Booklikes-opoly | Roll #21! Between my Roll #20 on 6/22 and Free Friday #2 on 6/23, I've kept busy with reading. Although, truthfully, no one is as surprised as I am at how quickly I finished reading all of these books. I had expected at least another day before I could roll again. Though to be fair, the two Harlequin books, while not really that enjoyable, were bite-sized and easy to read. Reviews will be forthcoming soon within the next few days. 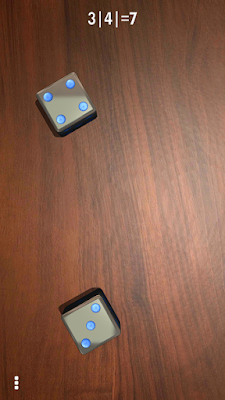 Roll #20.1: Rolled a double 5 = 10, and landed on Luxury Tax. Read The Mysterious Twin for 256 pages = $6.00, increasing bank to $103.00. 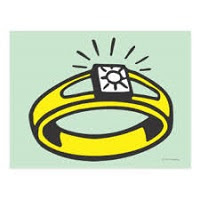 The Mysterious Twin has a character who is a millionaire/billionaire. Roll #20.2: Rolled a 9 and landed on Water Works. Read The Substitute Sister for 240 pages = $6.00, increasing bank to $109.00. The Substitute Sister's book cover has water in the illustration. In addition to the two books from my twentieth BLopoly roll, I had chosen It Had to Be You by Jill Shalvis for my Free Friday Book on 6/23--chosen and started on Friday... and finished on the exact same day because it was fabulous, and addictive, and fun, and... also I don't seem to have much respect for how necessary sleep seems to be. I finished my Free Friday Read and brought my Bank Balance to $97.00 before making myself proceed into the two books for my 20th BLopoly turn. With the completion of these three books, my Bank Balance comes to a whopping $109.00! From Water Works, I moved 7 spaces and landed on The Monorail. Magnetic Monkey: "Did somebody say MORE CARTWHEELS!" I landed on The Monorail sometime at the beginning of the game, and to be honest, the only squares I dread, maybe as equally as the Tomorrowland square, would be the railway station ones. Because, once again, I've got close to nothing sorted out for these squares, especially the Tomorrowland Station which wants a book about time travel. Yikes! 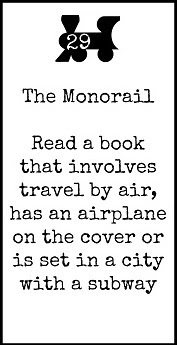 Still, of the four railway station squares, The Monorail really is the one with the most possible books listed from my TBR... so far. I finally got tired of listing book possibilities when I got to these four. Fortunately, turns out I've got a great book option, which will also double to help me finish up a book series! The Manhattan Encounter by Addison Fox, is the fourth and final installment in the House of Steele series that I started reading this year in 2017. At first, I'd been saving this book to read for the Electric Company square, because the heroine is a scientist. But after convincing myself that there are plenty of other books I've got chosen for Electric Company anyway, I decided that I'd be more productive, and enjoy myself more, if I just finished this book series and moved onto the next one. After all, I've got a pretty big goal this year, and those books aren't going to read themselves! 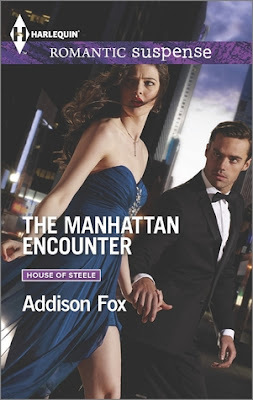 The Manhattan Encounter, as the title states, takes place in Manhattan, NY, and apparently has several subway stations that are part of the New York City Subway! The book is 283 pages, which will be worth $6.00, bringing my Bank Balance to $115.00 upon finished reading.